In line with Guidelines under the Companion Animals Act 1998, any animal seized by a person must be delivered as soon as possible to an authorized officer, the pound or an approved premises (such as Uni Vets Camden). Attempts will be made to reunite the animal and its owner including use of the Companion Animal Register. If the animal is not claimed by the owner within 72 hours, the animal will be sent to the pound. 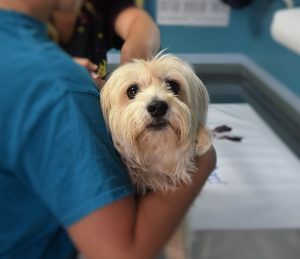 If the owner cannot be established or the microchip is not listed, the animal will be sent to the pound whether or not the 72 hour period has expired. Similarly, animals that represent a hazard to staff and students will be sent earlier.